I always have good intentions going into the holidays—I plan out my workouts, decide on eating just ONE of my mom’s famous sugar cookies, figure I can drink lots of detoxifying green tea and do squats in between all of this and then . . . It all goes to jelly like Santa’s belly. I know I’m not alone. “Resolutionaries” like me who want to get back on track after the holidays and continue throughout the year appreciate all the support we can get! Below are a few ways employers can help with different wellness resolutions after January 1 and beyond. “Be More Active”—According to the International Foundation survey Workplace Wellness Trends: 2017 Survey Results, over half of organizations offer walking/fitness challenges. The average participation rate for a fitness program/competition is 30%, which is higher than many other wellness efforts like a health fair, nutrition program or health care coach/advocate. “Eat Healthier”—When healthy food options are readily available and easy for employees to spot, grabbing an apple over potato chips is a no-brainer. Healthy food choices are offered by 44% of organizations. “Stick With it”—Providing employees with specific wellness goals through an HRA is a great way to help keep everyone on track. HRAs are offered by 44% of employers. About 40% of organizations make sure a mental health assessment is included with the HRA. “Make Time”—The top barrier to implementing wellness initiatives is that workers don’t have enough time to participate. 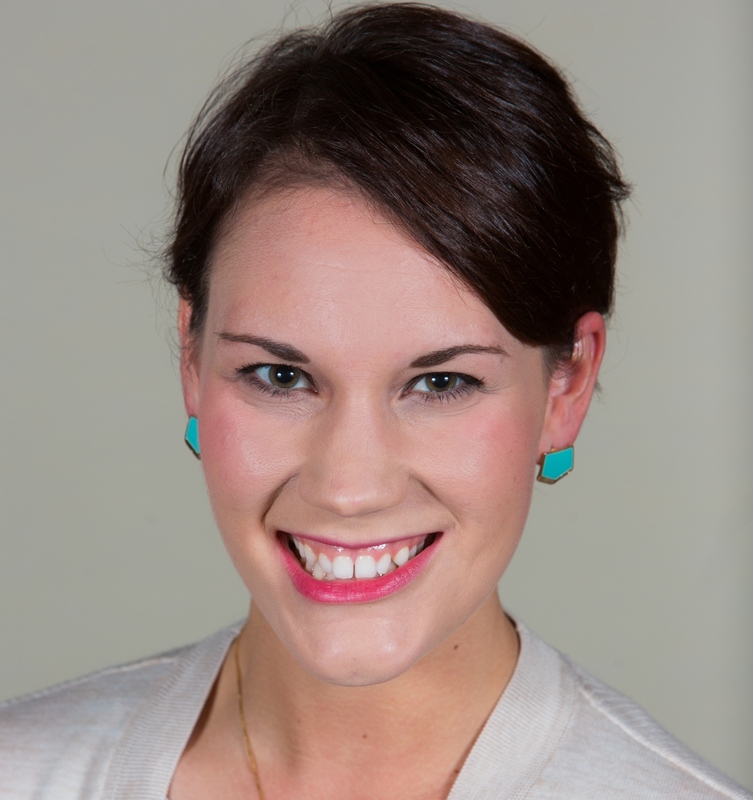 By offering convenient on-site options (more about that in #5!) and upper management support for wellness-related activities throughout the workday, employees will be more likely to make the time to participate. “Sit Less”—It’s old news by now that sitting is the new smoking. Make it easy for employees to stand or walk throughout the day via standing or walking workstations. These options are offered by 42% of organizations. “Exercise Regularly”—Help employees stick to their New Year goals by offering weight loss/management programs on site or subsidized. This is a growing trend for 38% of organizations and provides mega convenience for employees. “Spend Less”—Financial wellness is just as important as physical wellness. A subsidized gym membership can really help workers who want to stay in physical AND financial shape. Almost 36% of organizations offer gym membership reimbursement. “Give Back”—With almost 60% of organizations making community charity drives and service projects available to employees, putting an option in place for your organization to give back is a great way to keep hearts happy and healthy. “Worry Less”— Stress causes cortisol to build up, which can lead to weight gain. Most employers (85%) offer mental health/stress-related offerings, and 39% are planning to increase emphasis over the next two years. 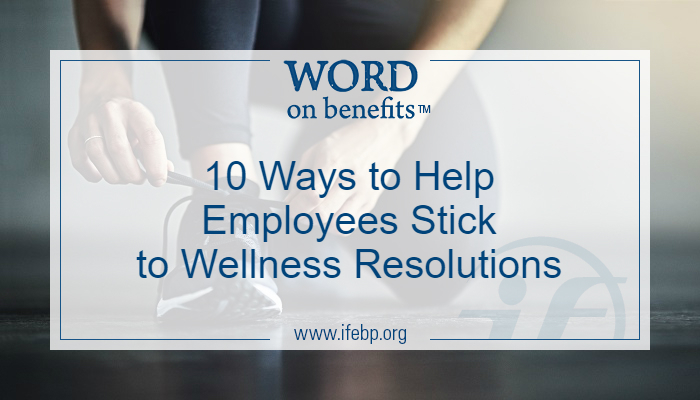 These are all nice ways to support wellness resolution goals for your organization but useless if employees don’t know about their offerings. E-mails are used by 72% of employers to communicate wellness information, but speakers/seminars, health fairs and a designated website are also popular communication vehicles. Increased wellness communication is being emphasized by 56% of organizations. Find out more in the full Workplace Wellness Trends 2017 report, free for International Foundation members.